Localization – the determination of where persons and things are deemed to be located and events are deemed to happen – is important for many legal purposes; decisions concerning personal jurisdiction and choice of applicable law are prime examples. The U.S. Supreme Court’s decision in Fourth Estate Public Benefit Corp. v. Wall-Street.com increases, for copyright law purposes, the importance of the localization of the publication of a copyright-protected work. The approach taken by U.S. courts to localization may bring some unexpected results regarding the obligation to register copyright. In Fourth Estate (see Tyler Ochoa’s post on the decision), the Supreme Court held that in order to file a copyright infringement suit, an owner of an unregistered copyright to a work must not only apply for registration, but must also await a decision by the Copyright Office on the application (section 411(a) of the Copyright Act). The requirement that the registration process be completed before the filing of a lawsuit is, of course, of concern to copyright owners because it may delay their filing of a lawsuit (see the current Registration Processing Times). However, the registration requirement in section 411 applies only to a “United States work”; infringement suits concerning works that are not defined as a “United States work” do not require that the copyright be registered. Copyright owners can avoid the registration requirement in section 411 by preventing their works from becoming a “United States work,” which in theory is easy: The work must first be published either (1) outside the United States in another “treaty party” country (such as another Berne Convention country), or (2) simultaneously (within 30 days) in the United States and another “treaty party” country that has a term (duration) of copyright protection that is shorter than the term of protection is in the United States. Additionally, (3), in cases of works whose authors are not nationals, domiciliaries, or habitual residents of the United States, the first publication of a work only outside the United States in a country that is not a “treaty party” will also result in the work being a non-“United States work” (section 101 of the Copyright Act). The technique to avoid the section 411 registration requirement is the mirror image of a technique that U.S. publishers employed prior to the U.S. accession to the Berne Convention in order to take advantage of the Berne Convention: Using the definition of “country of origin” in Article 5 of the Berne Convention, publishers used the so-called “back door to Berne” by publishing books first in Canada – a Berne Convention country. This ensured the owners of copyright to the books so published that they would receive the same treatment in Berne Convention countries as the countries’ own nationals. Even when the United States was not a party to the Berne Convention, first publication (even for a U.S. copyright owner) in a Berne Convention country extended the protection of the Convention to the work in all Berne Convention countries. 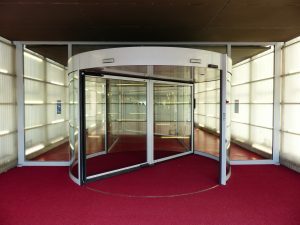 The problem is that, as with any revolving door, this revolving “back door” may slam into an oblivious party: A non-U.S. copyright owner might not realize that their work has become a “United States work,” and therefore requires U.S. registration if they wish to file a copyright infringement lawsuit in the United States. Would an author be unaware that they had first published a work in the United States? Easily, if U.S. courts conclude that publication on the internet – when a work is accessible in the United States – is equivalent to simultaneous publication worldwide, including in the United States. In Kernel Records Oy v. Mosley the U.S. Court of Appeals for the Eleventh Circuit suggested that simultaneous worldwide publication (and therefore first publication in the United States) will be found if a work is published on a “public website.” In Kernel Records, the copyright owner failed to prove that the work at issue was a foreign work that was exempt from the U.S. registration requirement. The lack of registration, in the words of the court, “doomed” the copyright owner’s case. If we assume that U.S. courts will treat publication on the Internet as simultaneous publication of a work worldwide, including in the United States, could a copyright owner publishing on the Internet protect a work from being declared a “United States work?” As long as there is at least one Berne Convention country connected to the Internet that has a term of copyright protection shorter than the United States term and the work is accessible in that country, the work should not be deemed to be a “United States work.” This should obviate the need to register the copyright in the United States in order to file a copyright infringement lawsuit in the United States, but it can deprive a work of a longer term of protection in all countries that apply the rule of the shorter term under Article 7(8) of the Berne Convention (such as in EU countries under Article 7 of the EU Copyright Term Directive), where the work will be protected only for the shorter term that the work enjoys in its country of origin. What advice should foreign copyright owners be given? They should register their works in the United States anyway, as Tyler suggested in his post on Fourth Estate, and certainly they should register if they plan on publishing first, or simultaneously, on the Internet. Because only with an early registration will they be able to elect statutory damages in an infringement suit in the United States – an important option in cases of infringements on the internet where actual damages tend to be difficult to prove. One significant problem is that even the lowest U.S. copyright registration fee ($35) is a significant obstacle for many copyright owners outside the United States – aside from the language, logistical, and awareness barriers that foreign copyright owners might also face. An alternative for foreign copyright owners who are aware of the simultaneous publication problem might be to publish their work in a limited manner – for example, by excluding the United States from publication on the Internet through geoblocking. 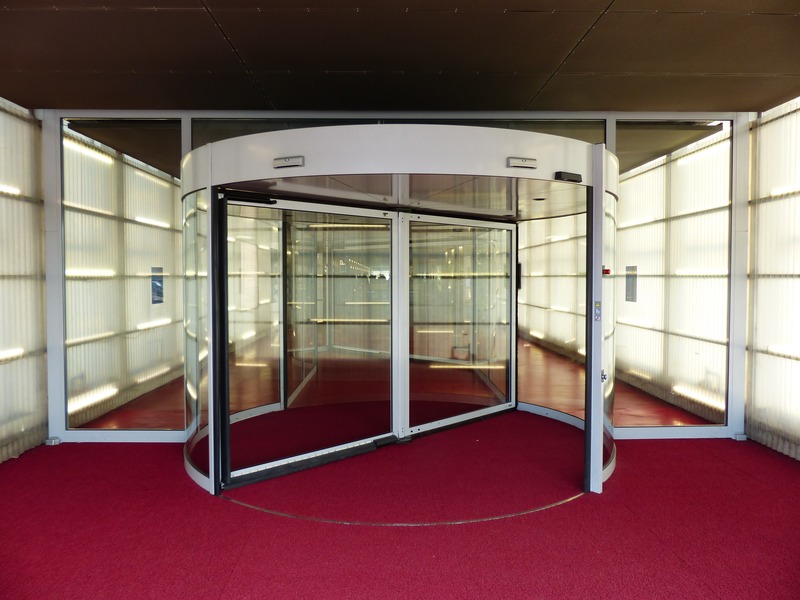 This solution could lead to truly unintended consequences under section 411. We might ask whether the resulting limitation on the U.S. public’s access to content is consistent with sound public policy – apart from whether the registration requirement in section 411 is consistent with the Berne Convention’s prohibition of formalities (Article 5(2) of the Berne Convention). Perhaps more compelling to U.S.-based readers of this blog post will be the possibility that if publication of a work on the Internet is deemed to happen simultaneously everywhere the work can be accessed, there will be no “United States works” first published on the Internet, as long as the works are accessible in Berne Convention countries with a copyright term shorter than the term in the United States. Therefore, there will be no registration requirement for any work first published on the Internet (as long as the work is accessible in at least one Berne Convention country with a shorter term of copyright than that of the United States). Although this result is surely not what legislators intended in section 411, it is a result that at least some will consider to be compliant – finally – with the Berne Convention.